Experimental vocalist Tanya Tagaq draws upon and alters the Inuit cultural tradition of throat singing, taking it to wildly unexpected places and collaborating with artists including Björk and the Kronos Quartet. Tanya Tagaq stands alone on a stage, a small red rug beneath her bare feet. She gently rubs her belly, as if coaxing up the air she will soon need to push out a parade of spirit voices: some pitiful, others hectoring, one apparently a demonic presence that transforms Tagaq into something snaky and cruel. All the while, except for when she breaks into small cries that suggest stages of despair, Tagaq (who will be in residency at the University of Washington Feb. 6-8, capped by a concert at Meany Center Feb. 8) is drawing in and releasing oxygen in rapid, expressive succession, wheezing, convulsing, simultaneously pleading and devouring. The sound is of a swiftly-pumping bellows that both draws upon and alters a cultural tradition among the indigenous Inuit people of Northern Canada, of whom Tagaq is a member: throat singing. To understand what Tagaq, 43, is about as a performance artist, it’s important to know first how her work contrasts with the apparently ancient tradition of Inuit throat singing (no one is sure just how old it is), which is different from Tibetan, Sardinian or Mongolian versions. As friendly competitions go, traditional Inuit throat singing (also called “katajjaq”) is both serious fun and mysterious art. Typically a game for two women who face one another, their hands sometimes cupping their partner’s elbows while torsos twist left and right in unison, the players begin inhaling and exhaling in sharp, short bursts, adding guttural groans, tiny cries, vowel sounds, broken syllables, staccato honks. The women aren’t making the same noises: one player leads, leaving tiny gaps between gulps and bursts of air that are then filled with split-second, throaty responses from the other player. As a session of throat singing continues, the women’s churning sounds change and evolve, sometimes with unnerving ferocity. That pattern can go on for a while, until one woman stumbles or both dissolve into laughter. Experienced Inuit throat singers will tell you it’s easy to hyperventilate during the game, so it’s advisable to learn circular breathing, like a jazz saxophonist given to long solos. But here’s the strange part. When you listen to two very good throat singers going at it, it doesn’t take long before you sense a third presence in the room, i.e., the noise between them becoming a living entity, as if invoked. In her own way, this is a big part of the dynamic Tagaq captures on her own, though she puts all of herself into a performance to get there. Besides throat singing, she is acting, chattering, wailing, at times waving her arms and dropping to her knees. There’s a simple reason Tagaq didn’t approach throat singing as a ritual for two. She simply didn’t know anyone else doing it. Originally from Cambridge Bay in Nunavut, Canada (on the south coast of Victoria Island), she moved at age 15 to Yellowknife, Northwest Territories, close to the Arctic Circle. There, she says, Inuit traditions and culture had been in short supply a long time, given the Canadian government’s policies for suppressing Native languages, breaking up indigenous families and obstructing education. 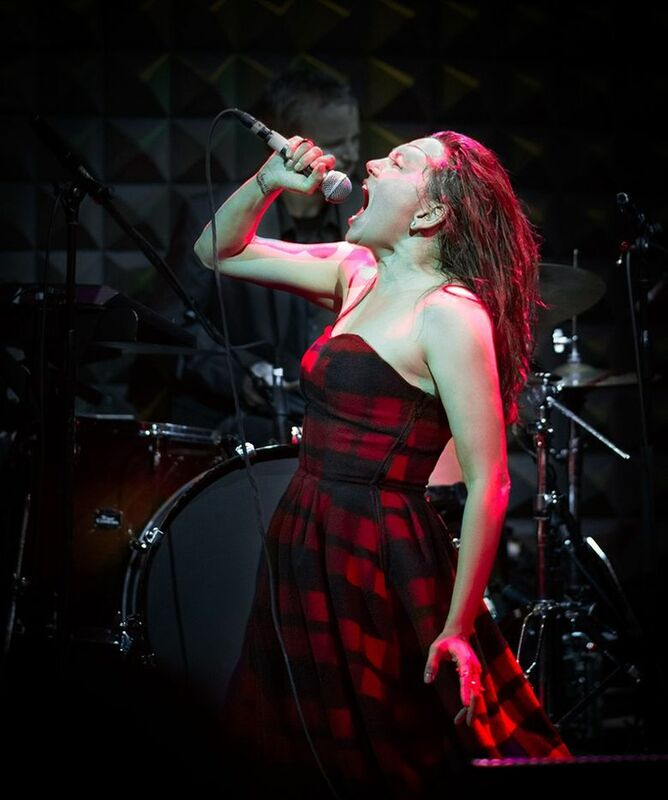 A winner of numerous honors and awards for her performances and albums (often classified as folk music or aboriginal), Tagaq earned career traction in the early 2000s when she recorded and toured with Icelandic composer-singer Björk. In 2002, she began a fruitful collaboration with the Kronos Quartet, cowriting “Nunavut” with them, touring as well as recording original music by Canadian composer Derek Charke. At the UW, Tagaq will visit one class in the Gender, Women and Sexuality Studies department, and one in American Indian Studies. At 5 p.m. on Wednesday, Feb. 6, she will give a reading from her new book, “Split Tooth,” at the UW Intellectual House. Part of Tagaq’s Friday evening concert will be crowdsourced in an unusual way. A call has been out to UW students and regional indigenous people to participate in a choir that will provide a “sound tapestry” for part of the show. Rehearsals will take place Wednesday and Thursday evenings. Tagaq will also be joined by violinist-producer Jesse Zubot, who employs effects to offer an array of sounds, and drummer Jean Martin. The two have been touring with her for several years. No show is ever specifically planned out; much of what will happen on stage will be improvised, but there is a chance songs from Tagaq’s widely hailed 2014 album, “Animism,” or 2016’s “Retribution” could be part of the program. Both records reflect another exciting aspect of Tagaq’s music: overdubbing her voice can achieve a dense weave of extreme drama. Her new album, coming out in March, is called “Toothsayer,” and includes the soundtrack she was asked to record for an exhibition at the National Maritime Museum in the United Kingdom. Watching Tagaq perform, it’s easy to assume some sort of ancient storytelling tradition is at work in a novel way. But she says that’s not the case. Her performances, she says, aren’t even oblique narratives. So what is going on for Tagaq internally when performing?